I made these scones tonight, and I’m still a little bit in disbelief that they’re so healthy. Protein, fruit, no flour. Super good! 1. 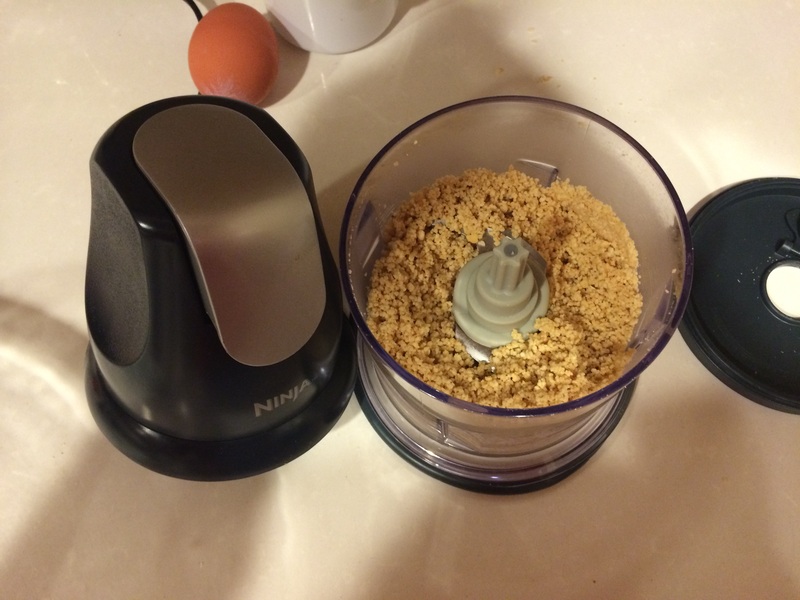 Grind up your cashews as fine as possible. We use a small Ninja (ha ha, that is a funny sentence). 2. Pour chopped cashews into a large mixing bowl, add arrowroot starch, salt and baking powder and mix. 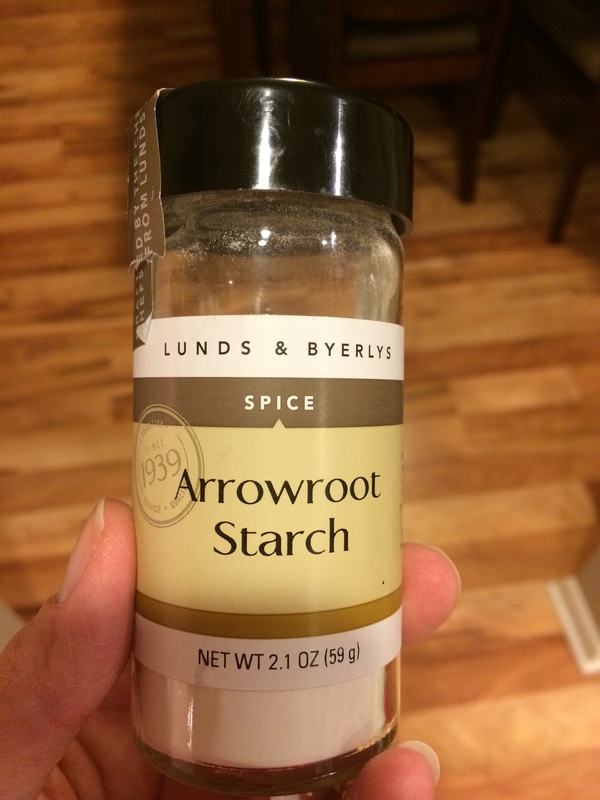 I had trouble finding arrowroot starch – no luck at the Target by me. Byerly’s came though. 3. 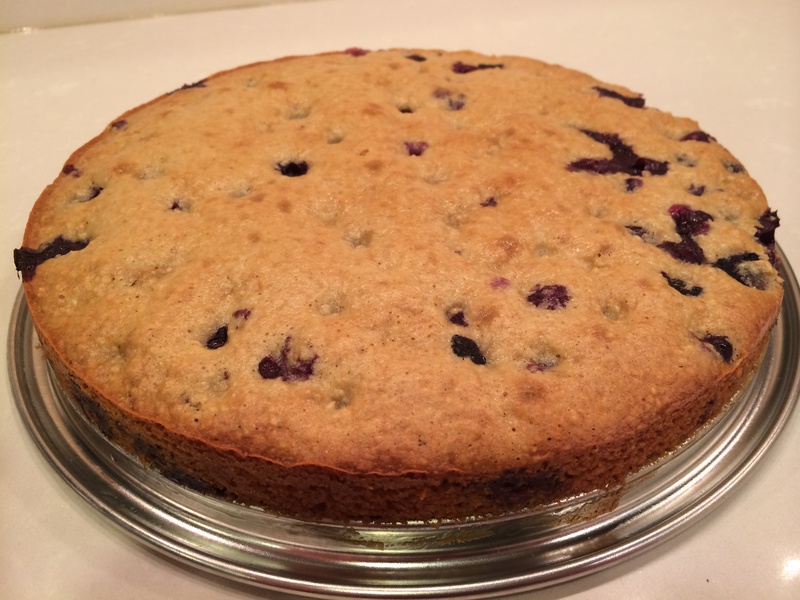 Add blueberries. I used fresh, my friend who referred this recipe used frozen – both worked fine. 4. Mix coconut oil (warmed, so it’s in liquid form) maple syrup, vanilla and egg. 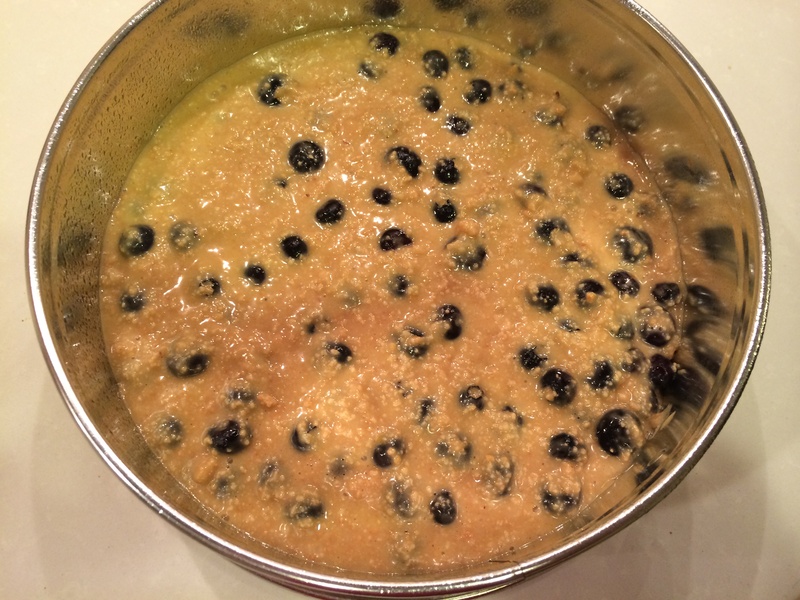 Add to the dry/blueberry mixture. 5. Pour into pan. 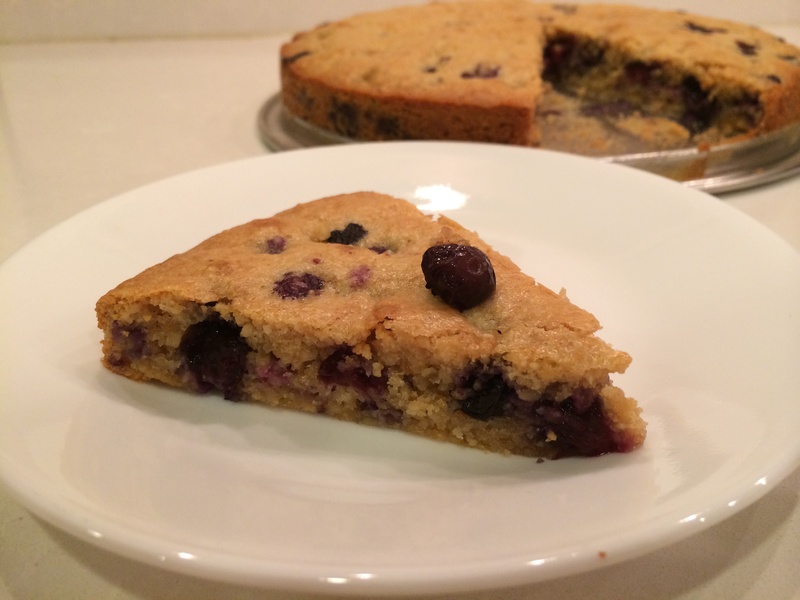 The blog this recipe came from (http://fedandfit.com/2013/07/28/paleo-blueberry-scones-2/) suggested a 9″ metal pan with parchment paper lining. I had neither said pan nor paper, so I used a spring-form (cheesecake) pan. I lightly greased the bottom to make up for no paper. 6. Bake at 350 for 30 minutes, or till light golden brown. Since I had the wrong pan and no paper, I did 325 for 33 minutes. Worked fine, but I’m wondering if it wouldn’t have risen more had I used the proper tools. Oh well, still delicious!